How Long Does It Take to Walk Distances From a Mile to a Marathon? Whether you are walking for fitness or you have registered or a charity walk or competition, it helps to know long it will take you to walk a mile at different walking paces. You also want to translate that into common race and event distances such as the 5K, 10K, marathon, or half-marathon and look at typical finishing times. Kilometer: A kilometer is 0.62 miles, which is also 3281.5 feet, or 1000 meters. It takes 10 to 12 minutes to walk at a moderate pace. Mile: A mile is 1.61 kilometers or 5280 feet. It takes 15 to 20 minutes to walk 1 mile at a moderate pace. 3K: 3 kilometers equals 1.85 miles, or 9842.5 feet, or just a little less than 2 miles. This is a common distance for charity walks, especially those with accessible routes. It takes 30 to 37 minutes to walk 3K at a moderate pace. 5K: 5 kilometers equals 3.1 miles. This is a common race distance for charity walks and fun runs. It takes about an hour to walk 5K at a moderate pace. 10K: 10 kilometers equals 6.2 miles. This is a common distance for fun runs, which may or may not be walker-friendly. It takes about two hours to walk 10K at a moderate pace. Half-Marathon: 13.1 miles or 21 kilometers. It takes about 4 to 4.5 hours to walk a half-marathon without stopping. Marathon: 26.2 miles or 42 kilometers. It takes 6.5 to 8 hours to walk a marathon at a moderate pace. Ultramarathon: These races can be any distance above 42 kilometers or 26 miles. The most common distances for these events are 50 kilometers (31 miles) 100 kilometers (62 miles), 50 miles (80.5 kilometers), and 100 miles (161 kilometers). How Long Will It Take to Walk Miles and Kilometers at Different Paces? Fast: 7 minutes per kilometer or 11 minutes per mile. Moderate: 10 minutes per kilometer or 15 minutes per mile. Easy: 12.5 minutes per kilometer or 20 minutes per mile. These paces may seem fast, but it is typical for people to walk faster than usual when at a group event or competition. An easy pace will put you at the back of the pack, while at the fast pace you will be with some of the runners and run/walkers. 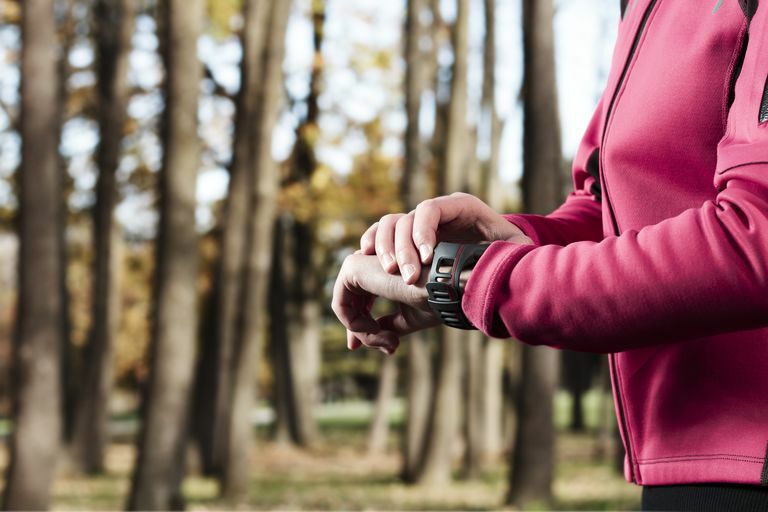 There are several ways to measure or calculate your walking speed, including phone apps and GPS watches, as well as low-tech options using a known distance (such as around a running track) and a stopwatch. 21 13.1 147 min. 210 min. 262.5 min. 42 26.2 294 min. 420 min. 525 min. 13.1 21.1 143 min. 195 min. 260 min. 26.2 42.2 288 min. 400 min. 524 min. With these charts, you should be able to get a rough estimate of how long it will take you to walk a given distance at a fitness walking pace without making stops. You'll have to add in more time if you have to wait at intersections for the crossing signal, make rest stops, stop to take photos, play Pokemon Go, etc. Timing yourself over a mile can help you predict your finish time for an organized walking event up to 10 kilometers. Sometimes a race will want to know your pace in minutes per mile when you register. It's best to warmup and then walk a mile nonstop at your best pace to time it. Do this three times to find an average. Before you register for a longer race or event that has a cutoff time, you will want to predict your finish time. It's important that you only enter events that you know you can complete under the time limit. For a half-marathon prediction, add 20 seconds per mile to the pace you were able to do to finish a 10K. For a marathon prediction, multiply your 10 kilometer finish time by five. Training can do wonders. By gradually building your walking distance and paying attention to your posture and walking form, you will be able to walk faster and longer. It's always a good idea to build up your walking time steadily from shorter to longer distances. By adding a longer walk each week, you will build your muscles and stamina. You will also toughen the skin on your feet, which helps prevent blisters. Start with the distance you are able to walk comfortably. Add a mile to that distance each week, which will be between 15 and 20 more minutes of steady walking. Try a 30-day quick start walking plan to begin building your walking mileage, whether you just want to walk a mile, enjoy a 5-kilometer charity walk, or even begin training for a half-marathon or marathon. How Long Does It Take to Break in Running Shoes?